Time to retire from flying. Acheived new heights and have been elevated to exalted status with BA. Pucci, I realise it is frowned upon and deemed uncouth, however this calls for you to issue my 7th (or is it 8th) MUCCI. Today, I am pleased to announce a first treble for me! lostinlondon, adrianlondon, nick.t.davies and 19 others like this. I’m waiting for somebody to trump you by having 1A on the sequence as well. T8191, Fruitcake, SaraJH and 5 others like this. 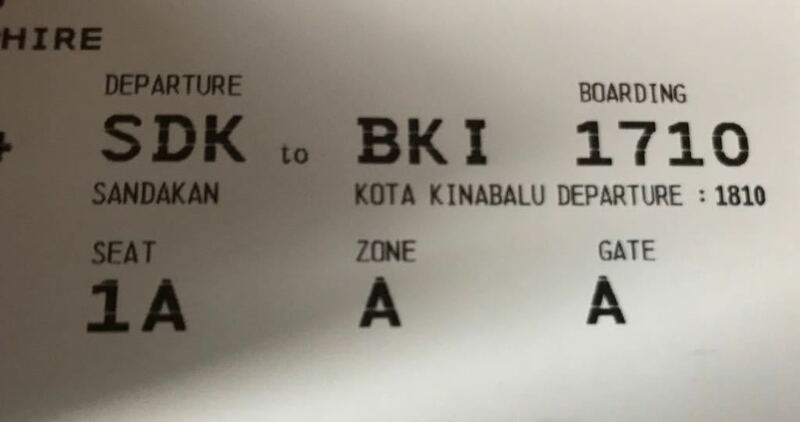 Your are missing SSSS on your boarding card. Only the coolest folk get that. theultimateflyer and SkyTeem like this. Wouldn't you need to be on BA001 as well, and maybe do an air BnB at 111 First Avenue? Location: 15 minutes west of LHR, Stockholm, or somewhere inbetween. Programs: BAEC Gold GGL, CCR, GfL, Mucci des Recherches des Consommations Exotiques. Now, what could possibly go wrong?? Flight oversold and you get re-routed via Mogadishu in Chicken class? You're denied boarding, as your emotional support animal, 'Huggy' the python is considered to cuddly? Have a great flight! Maybe! NeverFirst, deboyzoned, T8191 and 2 others like this. To be honest, a more complete result would have been checking in at 11:11 on the 11/11/11 and then getting SEQ001 on BA001, seat 1A but we'll all be long gone before the next chance of something along those lines. Very good - am in BKI next week! slightly drifting O/T best boarding pass I have had was AY ticket on IB BP for a CX flight - was gutted when CX Agent took it off me and reprinted another one!! Achieved new heights and have been elevated to exalted status with BA. Petrus - sorry to take the wind out of your sails, but while you may have been elevated to exalted status with BA I’m afraid 7 or 8 Muccis doesn’t cut the mustard. Besides, you should never publicly demand one; their award is entirely at the discretion of Ms PG. I’ve got 14 of them (an all-time record I believe) - not that it’s done me much good trying to win the affections of Ms PG. Mind you, the value of a Mucci these days seems to be heading in the same direction as bitcoins.